QUEZON CITY, Philippines - Pinoy riders are set to slug it out on the pump track on March 23 as The Bike Playground hosts the 2019 Red Bull Pump Track World Championship Philippine Qualifier. The event is the second leg of the 25-stop world tour for the prestigious global tilt. The top four riders of this event are qualified to represent the Philippines at the world final later this year. Every qualifier will start with timed runs from which the top 32 riders will advance to the knockout heats. The Bike Playground qualifier will use the time trial format. The Philippine Qualifier, held through the partnership of Red Bull, pump track designer and builder Velosolutions, premier developer Ortigas & Company, and The Bike Playground, is giving local biking greats the chance to battle it out against Olympic BMX racers, MTB world champions, and some of the leading talents in the worldwide biking community. The event also coincides with The Bike Playground’s celebration of its second year. The track, which opened in March 2017, is the first asphalt pump track in the country. It is housed in a 36x21-meter warehouse making it conducive to runs even during the rainy season. Located in Ortigas & Company’s Circulo Verde estate along Calle Industria in Quezon City, The Bike Playground also has an outdoor trail and a kids’ outdoor track where lessons and coachings are offered for all levels and age. It is also part of the upcoming Circulo Verde Sports Hub, an active lifestyle destination that also includes a basketball court and football field called CV Pitch. Interested riders for the Red Bull event must be 18 years or older to participate. Regular registration at a discounted rate is ongoing until March 17. Late registration will be on March 18 to 23. Each race is limited to 110 riders. 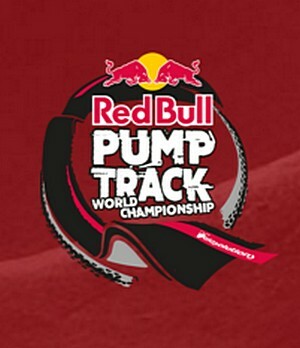 Visit www.redbullpumptrackworldchampionship.com for more information.